Computer Manufacturer Dell is moving ahead with plans to boost ARM-based server adoption, announcing that the firm has begun shipping its first line of "Copper" servers. The initial run of Copper servers are being shipped out to select customers and partners who plan to experiment with ARM-based servers for test purposes. The deployment also includes key development partners such as Canonical and Cloudera, which can help to foster the software necessary to build the ARM server ecosystem. By the end of the year, Dell plans to also provide developers and partners with remote access to ARM-based Copper servers installed at Dell Solution Centers and the Texas Advanced Computing Center (TACC) for additional tests. Dell says that it received an increasing number of requests for ARM-based servers in the past year. 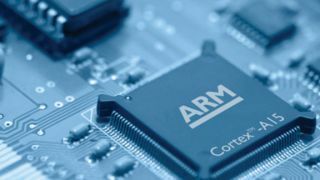 ARM-based servers aren't as powerful as their x86 counterparts and are currently limited to 32-bit technology, which represent a compatibility issue with 64-bit systems. However, ARM-based servers require less power to output impressive performance, making them attractive to environments like web front-end development where efficiency is of the utmost importance. Dell's Copper servers consist of 48 ARM nodes drawing 15 watts each, allowing a fully equipped server to run on less than 750 watts. Dell hopes that as developers continue to test the capabilities of ARM-based servers that an open-source ecosystem of software support will grow. In the meantime though, Dell is hand selecting the developers and partners who can receive its Copper servers, with no word on general availability.